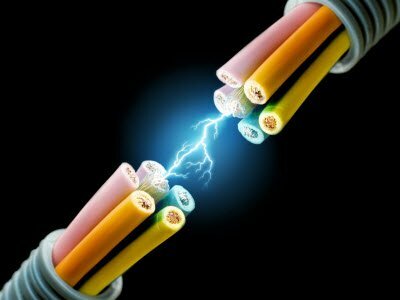 For the satisfactory working of all electrical and electronic devices, it is recommended to allow voltage at prescribed limits. Voltage fluctuations in electric power supply certainly have adverse effects on connected loads. These fluctuations can be of over voltage and under voltages which are caused by several reasons like voltage surges, lightning, overload, etc. 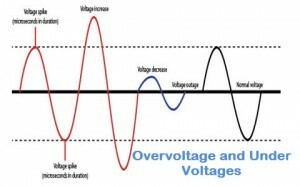 Over voltages are the voltages that exceed the normal or rated values which cause insulation damage to electrical appliances leading to short circuits. 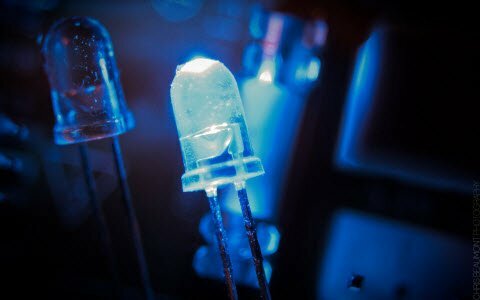 Similarly, under-voltage causes overloading of the equipment leading to lamp flickers and inefficient performance of the equipment. 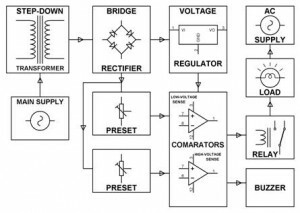 Thus, this article is intended to give under and overvoltage protection circuit schemes with different control structures. 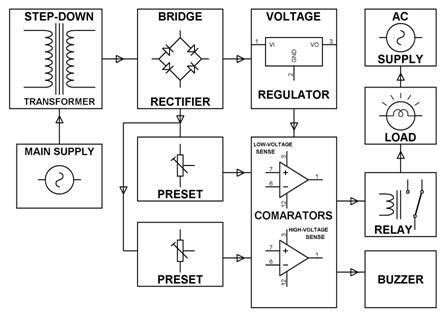 To understand this concept and know it better, one needs to go through three different types of over voltage protection circuits that use comparators and timers. This voltage protection circuit is designed to develop a low-voltage and high-voltage tripping mechanism to protect a load from any damage. In many of the homes and industries fluctuations in AC mains supply take place frequently. 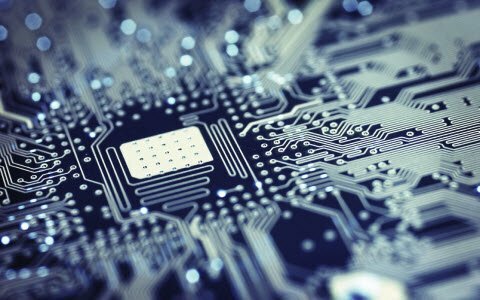 The electronic devices get easily damaged due to fluctuations. To overcome this problem, we can implement a tripping mechanism of under / overvoltage protection circuit to protect the loads from the undue damage. 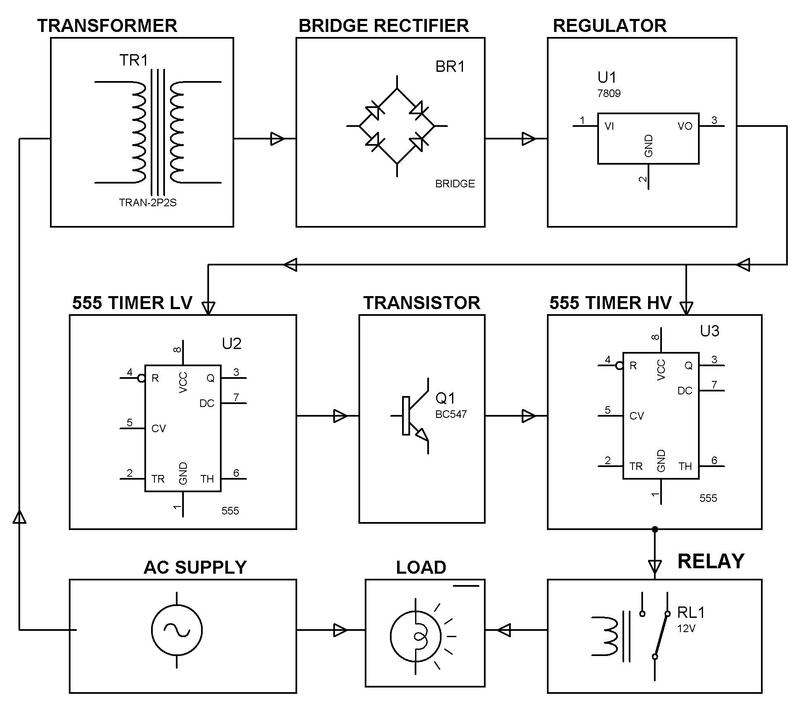 As shown in the above block diagram, the mains AC power supplies the power to the whole circuit and for operating loads by using relays, and also for tripping the load (lamps) in the presence of the input voltage which falls above or below a set value. Two comparators used as a window comparator formed out of one quad comparator IC. This operation delivers an error in the output if the input voltage to the comparator crosses the limit beyond the voltage window. In this circuit, an unregulated power supply is connected to both op-amps terminals, wherein each non-inverting terminal is connected through the two series resistors and a potentiometer arrangement. Similarly, the inverting terminal is also powered through Zener diode and resistance arrangements, as shown in the given under or overvoltage protection circuit. The Potentiometer’s preset VR1 is adjusted such that the voltage at non-inverting is less than 6.8V for stable maintenance of load for the normal supply range of 180V-240V and the voltage of inverting terminal is 6.8V constant due to Zener diode. Hence the op-amp output is zero under this range and thus the relay coil is de-energized and the load is not interrupted during this stable operation. When the voltage is beyond the 240 V the voltage at the non-inverting terminal is more than 6.8, so the operational amplifier output goes high. This output drives the transistor and thus the relay coil gets energized and finally loads are turned off due to overvoltage. Similarly, for under voltage protection, lower comparator energizes the relay when the supply voltage falls below 180 V by maintaining 6V at the inverting terminal. These under and overvoltage settings can be changed by varying the respective potentiometers. This is another under / overvoltage protection circuit for designing low- voltage and high voltage protection mechanism to protect the load from damage. This simple electronics circuit uses timers in place of comparator as in the above case as a control mechanism. These two timers combination delivers an error output to switch the relay mechanism when the voltage violates its prescribed limits. Thus, it protects the appliances from the adverse effects of supply voltage. 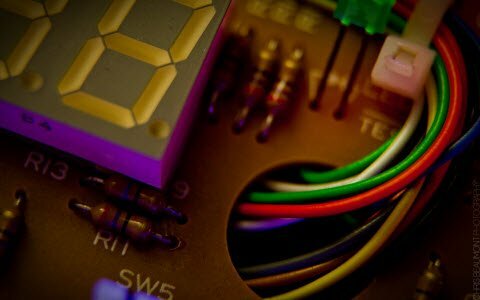 The entire circuit is powered with rectified DC supply, but the regulated power is connected to timers and unregulated power is connected to potentiometers to get the variable voltage. Both the timers are configured to work as comparators i.e., as long as the input present at the pin2 of timer is less positive than 1/3 Vcc then the output at pin 3 goes high and reverse will happen once the input at pin2 is more positive than the 1/3 Vcc. The Potentiometer VR1 is connected to timer 1 for under voltage cutoff, and the VR2 is to second timer for over-voltage cutoff. The two transistors are connected to two timers for making switch logic. In the normal operating conditions, (Between 160 and 250 V) the output of the timer 1 is held low so the transistor 1 is in cutoff state. As a result, the reset pin of the timer 2 is high which causes to output at pin 3 is high, so the transistor 2 conducts, and then the relay coil gets energized. Thus, in the normal or stable-voltage conditions the load doesn’t get interrupted. In the overvoltage condition (above 260V), the input voltage at pin 2 of timer 2 is goes high. This causes low output at the pin 3, which in turn drives the transistor 2 into a cutoff state mode. Then, the relay coil gets de-energized and the load gets tripped from the main supply. Similarly, in under voltage condition, the timer 1 output is high and it drives the transistor 1 into conduction mode. As a result, the reset pin of timer 2 is goes low and therefor the transistor 2 is in cutoff mode. And finally, the relay is getting operated to isolate the loads from the main supply. 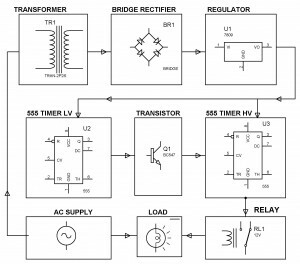 These overvoltage and under voltage conditions status are also displayed as LED indication which are connected to respective timers as shown in the figure. These are the two different overvoltage and under-voltage protection circuits. Both circuits work in a similar way, but the components used makes the difference between them. These circuits are simple, low cost and easy to implement and therefore, now you will be able to choose between these two for the best and reliable control with ease of implementation. 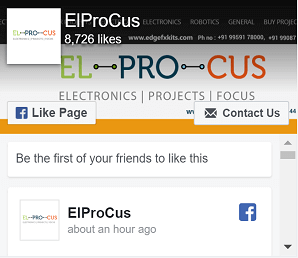 So write your choice and for any other technical help to build electronic projects circuits in the comment section below. Hello sir do you have Matlab simulation of this project? Sorry, we don’t provide simulation-based projects. be specify your query so that we will guide you. We are very sorry to inform you that we don’t have that circuit. how can i vary the ac supply ?? can u pls suggest me, i need to protect the bore well motor with the 2nd ( 555 timer ) circuit. so, is it possible to set the (perfectly accurate) desired voltage by setting vr1 low and vr2 high presets…? can u pls clarify me about few doubts. 1. The pin 4 (Reset) of IC1 is connected to regulated ‘V’ out. then what is ‘R’ again connected to pin 4….? 2. The same pin 4 (Reset) of IC2 is also connected 2 same regulated Voltage out. and showing ‘R’ is connected in between R4 100k and T1 BC547. what is ‘R’..? 3. In place of 12v 250ma transformer, can i use 12v 500 milli amps rating…? because the above 12v 250ma transformer is not available in the market. 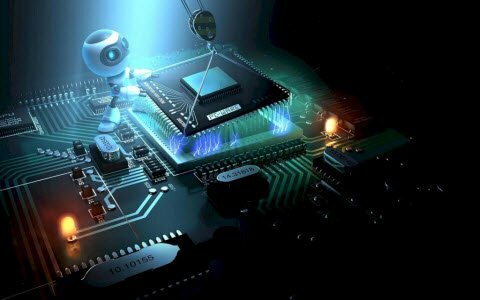 may i use the circuit during fluctuation to prevent my entire home load before it affects any equipments…..
and whether it controls all the equipments in the room or it will be applicable only some particular loads….?? ?…..help me out from this doubt..? ?